Compact, uses minimal wall, shelf or desk space. For use with refill series (sold separately). Includes double-sided tape for wall mounting. 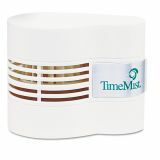 TimeMist Continuous Fan Fragrance Dispenser, 4 1/2 x 3 x 3 3/4, White - Little fragrance dispenser system is a small, efficient fan dispenser. 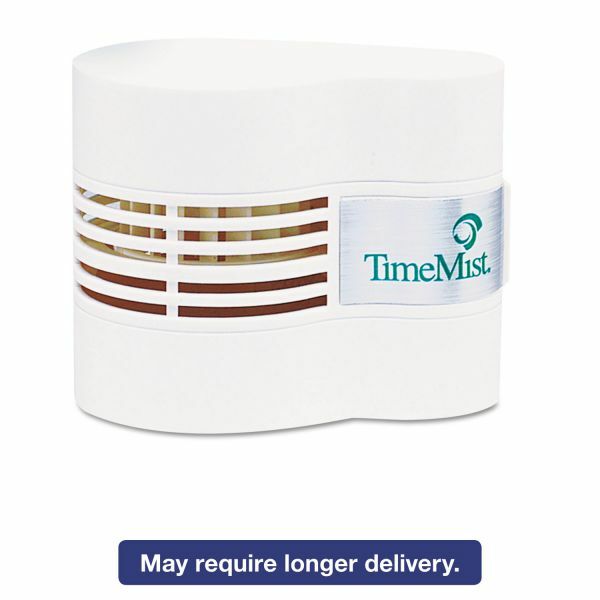 This dispenser effectively fragrances rooms up to 1500 cubic feet. 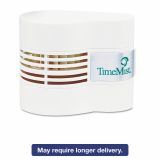 It continuously dispenses a fragrance (sold separately), quietly operating on one D battery (sold separately). 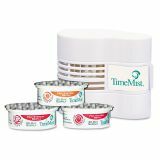 Fan is refillable with TimeMist Fan Refills, which have no VOCs or solvents. Each refill lasts 30 days.